Our’Skill – Builder Sunday’ is this Sunday, February 7th at 1:00! We’ll be knitting wee hearts. 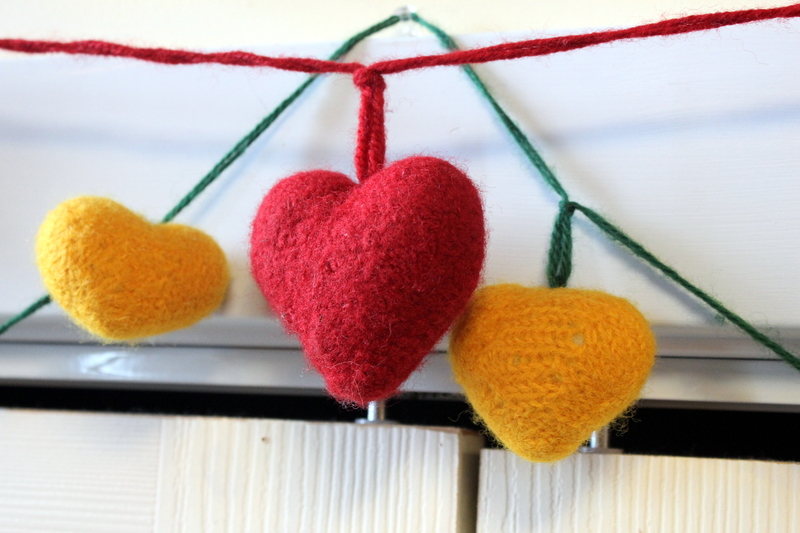 Learn the short row technique ‘wrap and turn’ (w&t), and a purl side increase ‘purl front and back’ as you make these adorable little hearts for Valentine’s day. 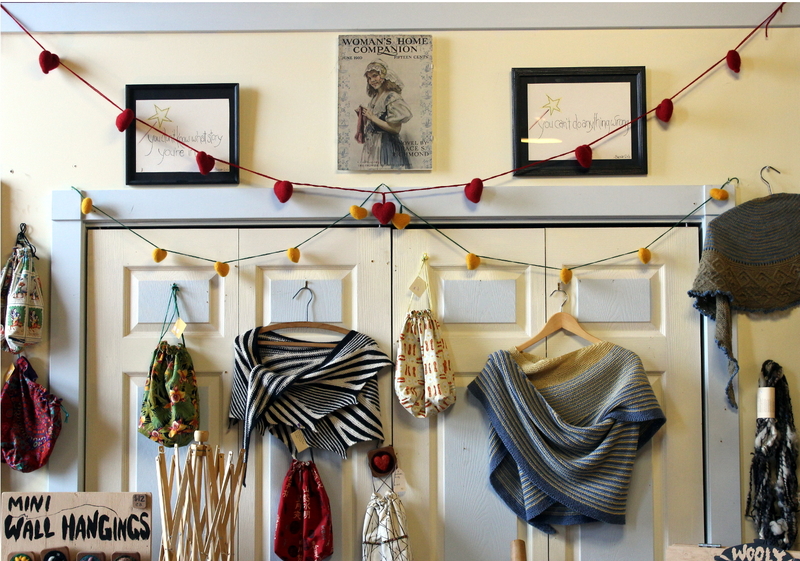 Our friend Dale knit and felted hers to make a sweet garland. “Be Mine” could easily be needle felted in. I’m going to stuff mine with lavender for a sachet or pincushion. Whatever you decide, you’ll have a homemade heart, and two new skills mastered by the end of Crafternoon.